SHSU Horticulture Club members, from left, Conrad Liles, Tyler Graff, Sean Radabaugh, Lauren Birdsong, Jason Hewell and adviser Sharon Frey. 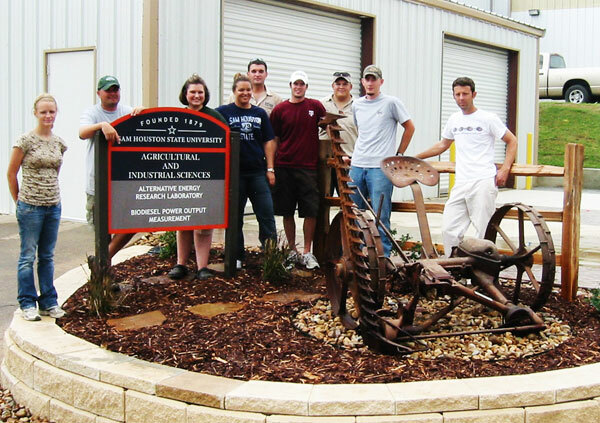 When it comes to putting together an irrigation system, or getting lawmowing equipment safely to the next job, there are students at Sam Houston State University who are certifiably the best in the nation. 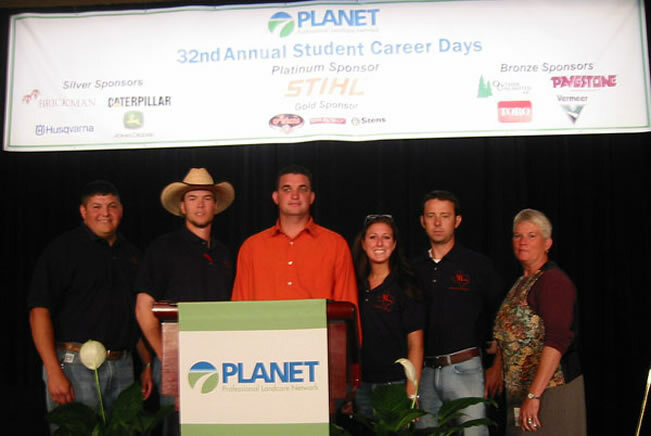 Five SHSU Horticulture Club members along with adviser Sharon Frey recently attended the 32nd Annual PLANET Student Career Days in Atlanta, Ga. Attending were 950 students from 65 other colleges and universities. Conrad Liles and Tyler Graff placed first in the Irrigation Assembly and Liles teamed with Sean Radabaugh to take another first in the Truck & Trailer Operation contest. This involved safely loading a commercial lawnmower and driving it in a timed competition through an obstacle course, through turns, and backing into a designated area. In overall individual scores, Radabaugh placed 4th, Liles was 13th, Tyler Graff and Jason Hewell placed in the top 10 percent, and Lauren Birdsong placed in the top 20 percent. Radabaugh's efforts were also worth a $1,000 scholarship. Student landscapers, from left, Cendy Malinowski, Cory Wood, Amy Wilson, Marcia Upton, Sean Radabaugh, Eric Wiggins, Conrad Liles, Eric Brendle, and Jason Hewell. Liles, who operates the Conrad Liles Lawn Service, also provided equipment and supplies for a landscape design project near the new Biodiesel Lab. The students created the design, which uses an old horse-drawn riding hay mower, and presented it to agriculture administrators including Doug Kingman, who directs the biodiesel testing program. Students participating in that project, all of whom were enrolled in the Landscape Design II class, were Cendy Malinowski, Cory Wood, Amy Wilson, Marcia Upton, Eric Wiggins, Eric Brendle, Hewell, Radabaugh, Birdsong and Liles. Frey said that the hay mower has been in the department for several years and came from a local ranch through contacts of Billy Harrell, retired professor of agriculture. "It is a McCormick-Deering horse-drawn sickle mower circa 1910-20s," said Frey. "Many, many cutters like this one were manufactured, and it has more aesthetic value than actual value." She said several students had planned to renovate the piece, but when it was moved into the landscape work area, the eye appeal captured the student's hearts and it was decided to display the cutter in its present condition.